he new Dandy-Walker Patient Registry (or PIN which stands for Patient Insights Network), allows people diagnosed with Dandy-Walker, their family members and researchers to gather and share information and health history in a safe, confidential, online database. This registry will help us better understand the major health issues among individuals with Dandy-Walker, improve the natural history for the diagnosis and help us recruit for future pre-clinical research studies and therapeutic clinical trials all while educating the community and raising awareness regarding diagnosis, study of the causes and treatments. 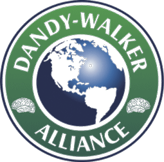 The Dandy-Walker Alliance, Inc. is a non-profit corporation providing support and outreach to families, producing educational publications, hosting awareness events and programs, and conducting research activities for the most common malformation of the hindbrain region, Dandy-Walker Syndrome. 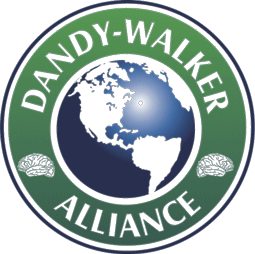 We support all efforts to determine the causes of, find the cure for and to ameliorate the effects of Dandy-Walker Syndrome.